Michael Freer graduated from Melbourne University School of Agriculture in 1952 and worked at the Animal Husbandry Research Centre, Werribee, VIC, on the grazing management of dairy cows from 1952 to 1959. He was awarded a PhD from Melbourne University in 1959 on the basis of the research conducted at Werribee. 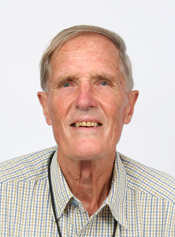 From 1959 to 1962, he worked at the National Institute for Research in Dairying, Shinfield, UK, on the factors controlling the voluntary food intake by cattle and in 1962 he joined CSIRO Plant Industry to begin his lifelong work on the nutrition of grazing sheep and the development of decision support tools for the grazing industry. He retired from CSIRO in 1994 continuing as an Honorary Research Fellow working on decision support (DS) tools for over 16 years.